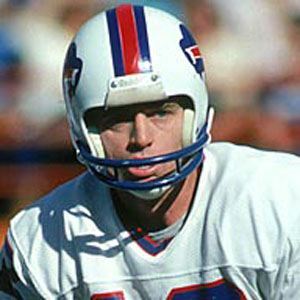 Former NFL quarterback who was a third-round 1973 NFL Draft pick, signing with the Buffalo Bills and going on to play for a total of five teams. He played for the University of Arkansas Razorbacks, where he set a school record for most completions, 31, in a single game. He shared the NFL lead for touchdown passes in 1975 with Fran Tarkenton. His brother-in-law was the coach at Louisiana Tech University from 1983 until 1987. He and Hall of Famer Jim Kelly both wore the No. 12 jersey for the Bills.